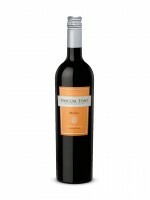 This good value Malbec makes the most of its fresh and fruity personality. Its supple and smooth texture give it mass appeal while the hint of spice and smoke add complexity to an otherwise simple yet effective red. Enjoy with pasta or dishes with a tomato sauce.